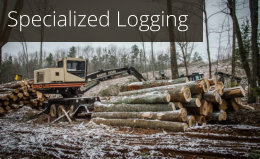 As the leading family-owned and operated timber firm in North Georgia since 1978, National Timber, specializes in thinning, highly sensitive real estate harvest, and specialty logging, while upholding the highest industry standards in terms of environmental and social responsibility and maintaining sustainable forests. 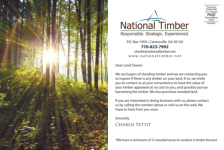 National Timber serves as a leading buyer of standing timber in North Georgia, Tennessee, and Alabama. 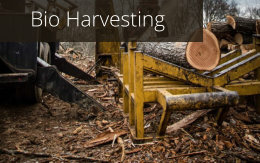 Our forestry services also include timber stand appraisals, timber harvest, land reconfiguration, and site regeneration, and we are qualified Master Timber Harvesters. We take pride in our work and accomplishments, and strive to build and nurture relationships within the communities we serve. Received our postcard? Click here to contact us. Over the past 30 years, National Timber has harvested several sections of timber on our NE Bartow...	View More.. I am very pleased with the job done by National Timber, Inc. on a 130 acre mountainous tract to...	View More.. They listen, they offer suggestions, you agree on a plan and then they execute! It works that well!... 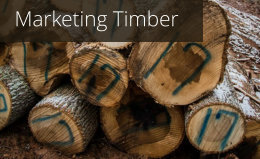 View More..
We can truly say that our experience with National Timber has been a very positive one. In all...	View More.. In October of 2003, the Cartersville Parks and Recreation Department contracted the services of...	View More..
©2018 Copyright, National Timber, Inc.